and the new-model scholarly communications platforms we can already recognize as promising replacements to our slow and moribund systems for credentialing and publishing humanities scholarship and archiving the cultural record on which it is based. On the first Ada Lovelace Day, I celebrated the women who taught me hands-on letterpress printing and how to think about open source. Last year, I honored a woman whose work inspired me to explore the craftsy side of physical computing — wearable, personal, interactive, high-touch high-tech. Before I left the Atlas Laboratory I was fortunate enough to recruit as a programmer a young woman with a 1st class honours degree at Oxford in Akkadian. The Laboratory had recently acquired a device called an SC4020 which allowed us to produce cine-films, microfilms and hard copy of any graphs or pictures that we could draw. The way in which we can use the computer to produce pictures etc., is that the computer produces a set of instructions indicating that certain points on a kind of television screen are to be joined together by lines. By joining a sufficient number of selected points together, highly complex pictures can be drawn and filmed. In particular one can generate the letters of any alphabet one wishes. By combining her output procedures with a concordance program the way is open for literary output of the very highest quality. For the Arts people present I point out that Mrs. Hockey had no scientific training beyond O-level thus providing a counter-example to the idea that computers are only for scientists. And here’s Kathleen Fitzpatrick in the Chronicle, on what is really required of institutions and departments who encourage junior scholars to ‘Do the Risky Thing’ in Digital Humanities. Kathleen is amplifying and contextualizing a concern frequently voiced in the past two years, around the spate of “cluster hires” in DH — which sometimes seemed to happen without thought given to the suport structures, both departmental and institutional, that new faculty would need. (I remember Patrick MurrayJohn as the first to start squawking about this on Twitter. I couldn’t find his much-earlier tweets, but there’s this thread at DH Answers.) On the Chronicle piece, Kathleen and Ian Bogost make two important further points that may resonate with our Grad Fellows and Praxis group: regarding “mentoring up,” and pressing forward. DH wonks, step this way. Here’s a post meant for the pretty small audience of people who care about the inner workings of digital humanities professional societies. The rest of you may carry on talking about the Emmys, or badges, or honeybadgers. Or honeybadgers at the Emmys. Or badges for honeybadgers. DH wonks, this way. 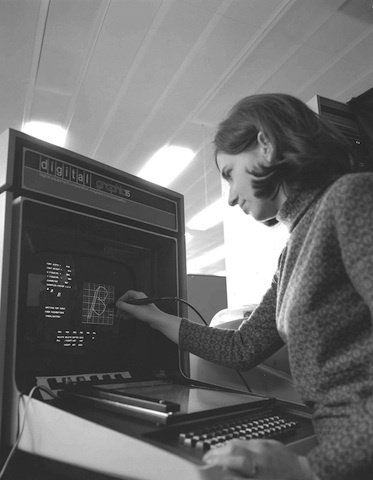 The Association for Computers and the Humanities (ACH) was founded in 1978 and is the primary US-based professional association for practitioners of the digital humanities. I’m currently serving as vice president of the ACH, and am a new steering committee member of the umbrella group to which it belongs, the Alliance of Digital Humanities Organizations (ADHO). ADHO consists of three aligned, international societies: ACH, ALLC (the Association for Literary and Linguistic Computing), and SDH-SEMI (the Society for Digital Humanities/Société pour l’étude des médias interactifs). Soon, a fourth organization will join us: centerNet, an international consortium of digital humanities labs and centers. Posted in administriviaTagged digital humanities10 Comments on DH wonks, step this way. Our goal in the Scholars’ Lab Praxis Program is to address methodological training in the humanities not just through workshops and courses, but by involving graduate students in digital projects from the ground up. This means learning by creating something — together — with all that entails: paying attention both to vision and detail; building facility with new techniques and languages not just as an academic exercise, but of necessity, and in the most pragmatic framework imaginable; acquiring the softer skills of collaboration (sadly, an undiscovered country in humanities graduate education) and of leadership (that is, of credible expertise, self-governance, and effective project management). All this also involves learning to iterate and to compromise — and when to stop and ship. To do this, our Praxis team needed a project. We wanted it to be a fresh one, something they could own. It was important to us that the project only be in service to the program — that its intellectual agenda was one our students could shape, that they set the tone for the collaboration, and that — as much as possible — it be brand-spanking-new, free from practices and assumptions (technical or social) that might have grown organically in a pre-existing project and which we might no longer recommend. In this inaugural year of the Praxis Program, the Scholars’ Lab, in consultation with some colleagues from UVa’s College of Arts and Sciences, is providing the central idea for the project. It’s just too much to ask that students new to digital humanities work invent a meaningful project from whole cloth on Day 1 of the program — especially one that, we hope, will make a meaningful intervention in the current scene of DH research and practice. That said, by the end of this year, our current Praxis team plans to have conceptualized a second project (or perhaps an extension of this one) to pass on to next year’s group.